The image is owned by Rachel Smythe. I always talk about physical books or ebooks but I never talk about webcomics. Today however that's all about to change! 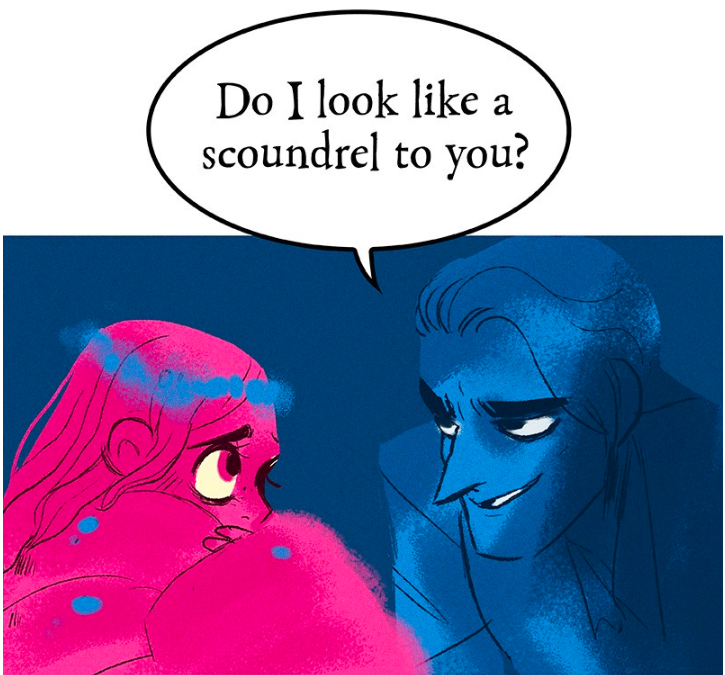 In case you missed my tweets, I need to tell everyone about the fabulousness that is Lore Olympus. If you're going to read one webcomic this coming year then let this be the one, you won't regret it. To sum it up, it's all about how Rachel Smythe (the author/illustrator/creator) interpreted Persephone and Hades getting together. If you're not up to date with your Greek Mythology, Hades and Persephone are a couple and rulers of the underworld. Don't get too excited though as I'm up to date and they still aren't properly together, it's all about the journey, the flirtation and the worry. Very relatable if you've ever had a crush on someone and constantly worried about what they thought of you and if you said the right thing. The hilarious writing paired with the fantastic illustrations makes for a rather entertaining read. Be prepared to fall in deep rather quickly and get invested in the characters lives. Never thought I'd hate Apollo as he's one of my favourite Gods but gosh he's such a douche, wee bit of a spoiler sorry. Anyway, full of drama and totally worth a read!